What a year! Whether it was sharing space with Community Partners at one of our Sharing Stations last summer, enjoying a meal with friends – old and new – at our first Modo Member Night, or jumping for joy over our 300th vehicle and expansion into Richmond and Coquitlam, 2013 was a year of celebration. At every turn, Modo members, staff and board came together to collectively co-create a vision for what we want our world to look like, how we want to be with each other and what it means to participate. Thank you! A co-op is only as strong as its members, and we've got some of the best in the region. Happy New Year, friends! Here's to another year of sharing! new year's resolution: sign the modo 8k pledge! Have you heard? 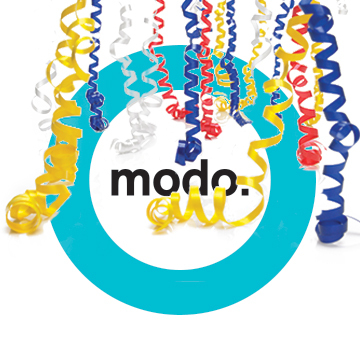 Modo is this year's Title Sponsor of the Modo Spring Run-Off 8k, March 23, 2014! The annual race takes thousands of runners in a loop around Stanley Park. 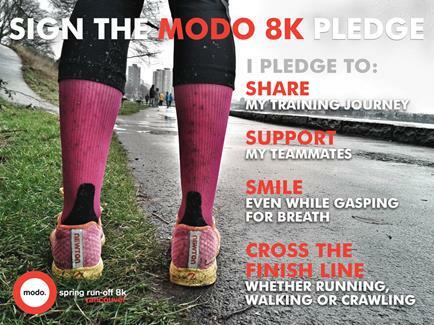 >> JOIN TEAM MODO and sign the Modo 8k Pledge! By committing to our band of runners, long-time runners and brand new New-Year's-Resolution runners alike will gain support from fellow Modo members and benefit from each other's experience, enthusiasm and camaraderie. Find our pledge on Modo's Facebook page and read more on our blog! >> ENTER TO WIN one of 10 free spots on Team Modo and receive free race registration, an official race shirt, one of Modo's nifty Share The Road technical shirts, plus free parking at the Stanley Park Pavilion on the day of the race. Click to get full contest details. Winners drawn on January 17. Mark January 22 in your calendar for Modo's Annual General Meeting (AGM). This year, we're also hosting our first-ever Co-op Fair beforehand and ending the evening with a big ol' party! Held across the street from Modo's office at Granville and Pender, the evening begins with a Co-op Fair, 6-7pm, featuring some of our favourite local co-operatives, including the Vancouver Tool Library, Victory Gardens, People's Co-op Books, The Co-operators, Vancity, Bitcoin Co-op, and many more! Then, stick around for the AGM, 7pm, to learn about Modo's operations and financial results; celebrate the achievements of the last fiscal year; elect three directors to the board using our new electronic voting system; and meet other engaged members. Afterwards, join us at our office for our super-fun After-Party, at 8:30pm! We'll eat, drink and be merry, with a DJ, dancing, prizes and mingling with fellow members, Community Partners and allies in the co-op sector. Don't miss it! We'll be pushing people out the door by midnight, so come early! >> CLICK TO RSVP for all or part of this exciting evening. Find more details on the Modo blog. Shareholding members will elect three directors to Modo's board, and for the first time they'll do it online. Voting opens this Friday, January 3, via Engage. There, you'll find full instructions for viewing Board nominee videos then placing a vote for each of your top three candidates. Voting closes when the last ballot is cast at the AGM on January 22. Are you an experienced, visionary, entrepreneurial leader who embraces innovation and is not afraid to champion new ideas to achieve a strategic vision? We're seeking an ambitious, innovative leader who will drive the growth of our co-op and continue to improve services for our members, while honouring the core values that have made Modo one of the world's leading carshare co-operatives. Visit our website for links to the position brief and application process. >> EPP DISCONTINUED Translink discontinues its Employer Pass Program, effective December 31. >> A DAY IN THE LIFE OF the Busiest Month to Be a Mom. Too funny to be true or too true to be funny? We'll let you parents decide. Thanks to Co-operator Lorien for the submission. >> THE SHARING TOUR is coming to a neighbourhood near you! 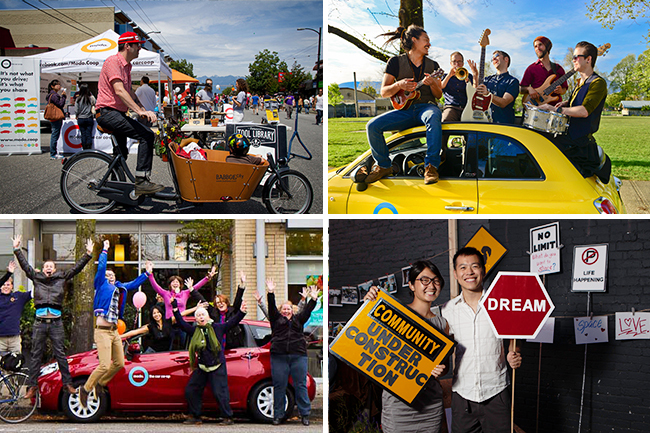 Our friends at The Sharing Project have organized these specialized meetups for five Vancouver neighbourhoods – won't you join them? >> SHARE BETTER There's no time like the present to do a quick year-end review of some basic (but helpful!) carsharing pro tips. >> 6 SHOWS FOR $5 The PuSh Youth Passport gives young people, ages 16–24, a chance to explore the 10th annual PuSh Festival's diverse offerings. Visit the Modo Tumblr blog for more updates, tips and inspiration. 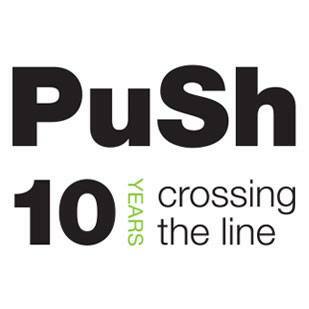 The PuSh International Performing Arts Festival (January 14–February 2) is celebrating its 10th year, and Modo is thrilled to be along for the ride! As part of our partnership, we've created some unique opportunities for Modo members to take part in the festivities. From docu-theatre to drag queens, we're offering a little something for everyone – plus a CONTEST for free tickets when you submit your recipe for the official Modo Mocktail! >> Find full details on our blog! And keeps your eyes peeled for Modo cars at PuSh events throughout Vancouver! Add our community calendar for your iCal or Google Calendar! Take a Saturday morning drive to New West for the RCFM Winter Market! Featuring farm fresh produce, local crafts, live music and more. It all happens from 11am–3pm so book a Modo and visit the Royal City! The Sharing Project is partnering with several neighbourhood groups to help communities share more. These events will help identify support and resources needed to help sharing flourish in each community. Visit The Sharing Project to find your closest neighbourhood and sign up. *** CONTEST: Win tickets when you submit your recipes for the official Modo Mocktail! This season, the Cedar Cottage Food Network will host a series of workshops covering topics from Vietnamese cooking to composting tips. Registration can be found on the Trout Lake Community Centre website. This year, our Annual General Meeting comes to you in three parts! To begin, we're hosting our first-ever Co-op Fair (6–7pm) with some of our favourite local co-ops for you to get to know a little better. Registration for the AGM opens at 6pm, and the meeting starts at 7pm. Afterwards, starting at 8:30pm, we'll be raising a glass and a hooray! at our AGM After-Party at our office in the Rogers Building! RSVP for one or all of the evening's festivities: modoagm2014.eventbrite.com. A 2012 grey Mazda 2 (#449) has replaced the 2007 Hyundai Accent. There's now a 2013 orange Fiat 500 (#500, of course!) instead of a 2012 Mazda 2. A 2013 grey Nissan Sentra (#491) has replaced a 2006 Toyota Corolla. With the removal last month of our 2004 Honda Civic, we no longer have a car at Mathew Court. There's now a 2014 blue Nissan Versa Note (#496) instead of a 2006 Toyota Matrix. We've placed a 2012 blue Dodge Journey (#504) instead of a 2005 Ford Escape. There's now a 2014 blue Nissan Versa Note (#494) instead of a 2008 Toyota Matrix. We've placed a 2009 red Nissan Cube (#239) in the 9300 block of Cameron Street, between Beaverbrook Drive and Erickson Drive. We have a designated stall on the north side of the street, next to Cameron Park and just west of the Cameron Recreation Centre driveway. This a permanent home for the red 2009 Nissan Cube (#239) which has been doubling at Keswick Park since September. We now have a designated stall on City Parkway (135 Street) next to the park at Gateway SkyTrain station. We've also upgraded it to a 2010 red Dodge Caravan (#320) instead of a 2007 Toyota Yaris.